» Topic: Hobby Weekender 30/11 The Verge of Christmas! Hobby Weekender 30/11 The Verge of Christmas! 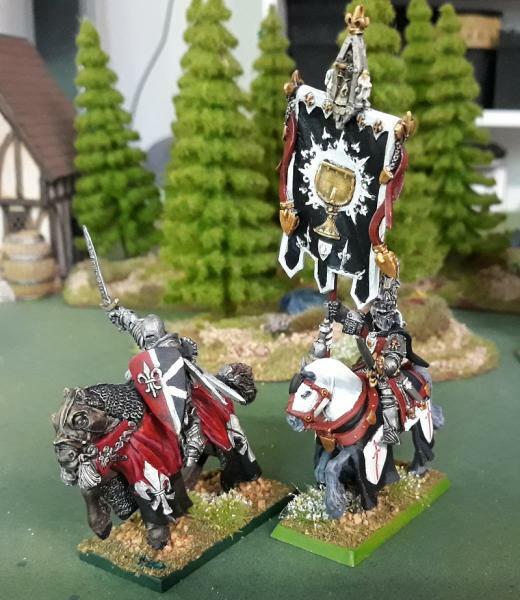 Home › Forums › Painting in Tabletop Gaming › Hobby Weekender 30/11 The Verge of Christmas! This topic contains 88 replies, has 10 voices, and was last updated by horati0nosebl0wer 4 months, 2 weeks ago. 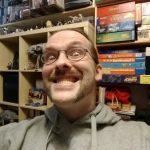 Welcome All to another Hobby Weekender! Thanks to @elessar2590 for running the previous digging of shins! 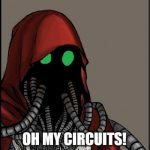 To the uninitiated, this is a virtual hobby hangout here on the forum. It is something fun and silly with a little more ‘oomph’. 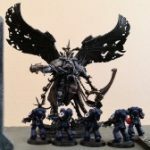 Its not just show and tell with your models. Its chatting, getting to know one another, community building. Think of it as a sort of club like hobby session. Everyone is welcome, of course, and there are a few rules to abide by. Let it go as OT as you like with chatting with folks. 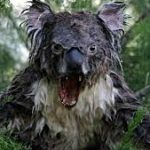 BoW is a special, unique community, and this little weekly thread is a tradition on these forums. Though not for everyone, if you are still reading and keen, then it is for you. If not, best click out. And there are weekly questions to get the conversation going. So, for this week, well, you will have to wait while I think of some and post them, shortly. I swear. Hey guys! Did I miss much last week? Anyway I’ve just finished work and start a week off, Huzzah! 10 Gil for the pledge, 10 more for showing off what you have. Maybe put a space between the link and the brackets? Good night, and 5 points I mean Gil for you! @mage thanks for hosting this week and @elessar2590 thanks for hosting everyone last week. 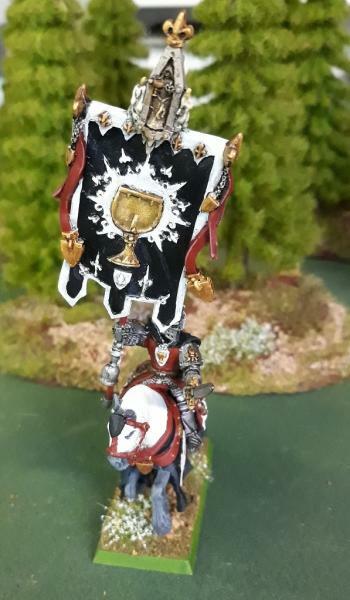 I determined to actually get some hobby done today and have managed to finally complete the Bretonnian BSB that has been on my paint bench for months (Seriously – the first WIP photo to hand that I found was taken in March …). 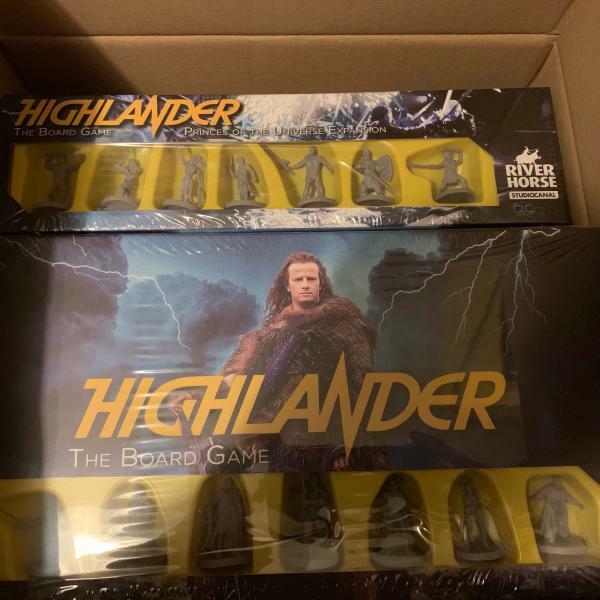 @dawfydd the highlander mins are still in the packaging? Wow, that’s showing a great deal of restraint! Tough call – maybe paint one as a test piece and see how they are to work with? @mage Mordheim still in the pipeline? @sundancer hope the new component arrives soon! This reply was modified 4 months, 3 weeks ago by evilstu. @mage Gil? Really!?! What kind of exchange rate are we getting for this, seriously? I wanna trade in my quatloo and at least find some way of converting the ducats that @evilstu awarded. Where’s a Toydarian when you need one? Ugh… anywhat, I am quite pleased that I have just had my shipment from Kingdom Death’s Black Friday sale and the Signum 11/11 sale arrive. 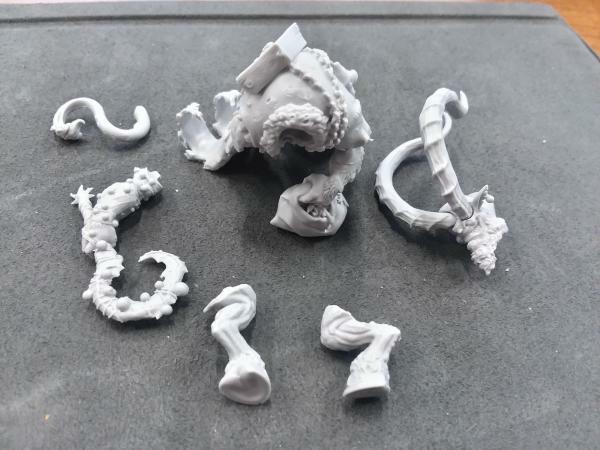 Oh these are some beautiful casts in resin. I’m seeing one problem for future hobbying… the bases. Konstantin and Krampus both are based on 60mm beveled edge plastic bases that I really don’t care for. As of writing this I’m trolling the entries I’ve collected for display bases like fishermen for seafood. This is much easier than trolling ancient yuletide carols (look over the lyrics to ‘Tis the Season’ again and see what I mean). I should order some more and be aware that I might need an 80mm or larger for other figures in the Legends of Signum KS. Looking at the Signum site I might order some more from their most recent notices for release. Nice classic Brets there @evilstu 🙂 Still a shame GW let that range flounder. I’m sure their whole Arthurian-romance shtick would fit wonderful amongst The Mortal Realms of AoS…..
@mage, maybe this link will work better? Yeah, O_o . So right here are 15 Blood Claws, 26 Grey Hunters, 15 Long Fangs, 5 Sky Claws, 8 Wolf Guard, Company Champion and an Iron Priest. @dawfydd this holders are the bee’s knees. I can’t wait to pick up the new ones. Having fun enjoying the new AoS Champions set online. @xaerin I’m sure we’ll have our rematch soon. Right, time to go back through the thread! Absent today due to quality time with my son and sleeping before work. Unfortunately no pledge again for me this week. The wife has ventured out of the house for the first time since she fell poorly so we spent the day together lovingly reminiscing about our time together and enjoying the spectacular christmas lights in town and in the store windows…. or thats what she would say anyway. What really happened was that she dragged me out of my nice warm cozy chair and forced me to take her christmas shopping in the pouring rain… and made me take my now maxed out credit card with me to boot. Tomorrows out as well because there’s this thing called a leg of lamb in the fridge (how much??? I could have gone to the local livestock market and bought a whole flippin sheep for what that cost me) and apparently I’m cooking her favourite roast dinner now she’s well enough to enjoy it…. Hellfire… my youngest lad Chris is a Chef why can’t he do it? Ya don’t keep a dog and bark yourself as my owd dad used to say. 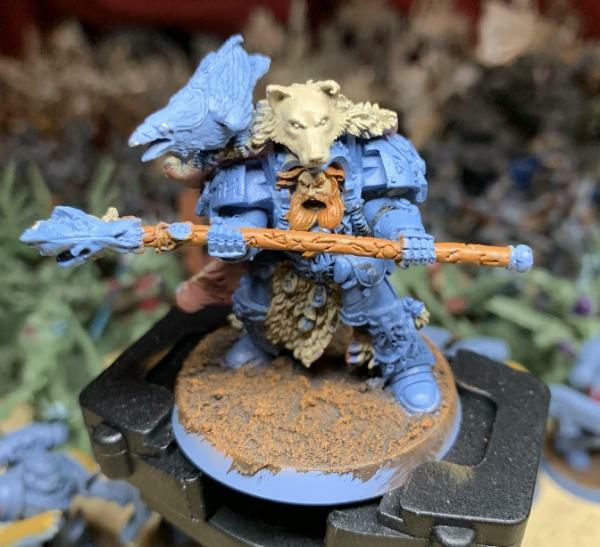 @dawfydd mmmm Highlander looks interesting, you’ll have to let us know how it plays and how often “Who wants to live forever” popped into your head while you were playing 😀 Most excellent start to the Space Wolves too sir. @evilstu Brettonians look excellent mate, great choice of colours. @horati0nosebl0wer I dont know much about Kingdom Death or Signum but the few Mini’s I have seen for Kingdom Death have been excellent. Looking forward to seeing what you do with these. This reply was modified 4 months, 3 weeks ago by biggabum. @biggabum Lol… You have my condolences for the trip into the great beyond which lies outside your hobby hideaway. I recommend watching the film Krampus as it opens with a great ision of what Christmas commerce looks like. I’d say that the idea of cooking the lamb would be best done by the experienced chef but how often does he stop by? As a consolation prize here is what I can say about the two large models. Wow, there is almost no tolerance in the molding for the Signum model for the Konstantin figure. Its essentially a knight on an armored chocobo (what Signum is calling an oronox) for an easy Final Fantasy explanation of the mini @dawfydd . Setting the right side of the figure has been a pain in trying to get the proper alignment for the fore and rear legs to sit properly. Once set into their respective slots without the rider they are quite snug and press against each other. When trying to set the rider’s right leg between the oronox’s limbs its a nightmare for dry fitting. You can see there were issues with the fitting even in the website photo of the figure. I don’t recommend it for the novice to jump into if you haven’t pinned for a while. Having a sense of spatial interaction is a must. Here’s my plan to address this issue for the build. This all should give me a better idea of what kind of gap filling that needs to be done. Looking at it there is no way this can’t be done as a single piece paint job. Subassembly is required. I didn’t expect this to start me thinking of this as a project piece but just beginning the report of my findings moves me to do so. I guess that means I need to put in my order for the resin plinths. 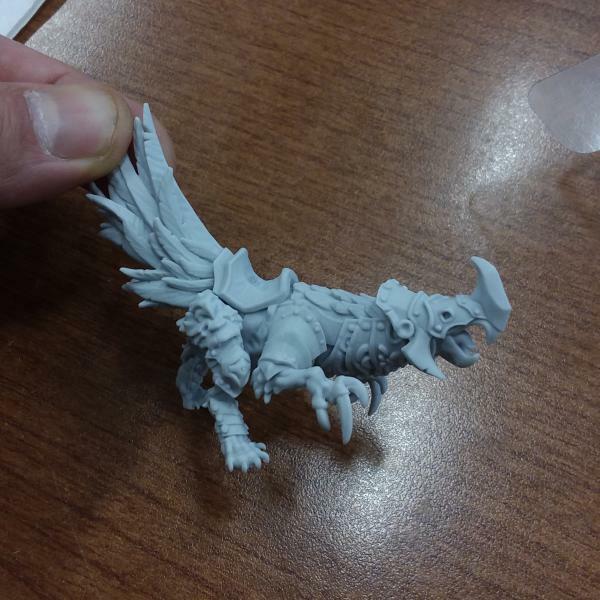 Krampus is also very finely cast and the tolerance for where the mini fits together again is very slight. With that the joins are well done and almost seamless other than where the horns fit to the head. With minimal gap filling this will definitely be a sweet figure. 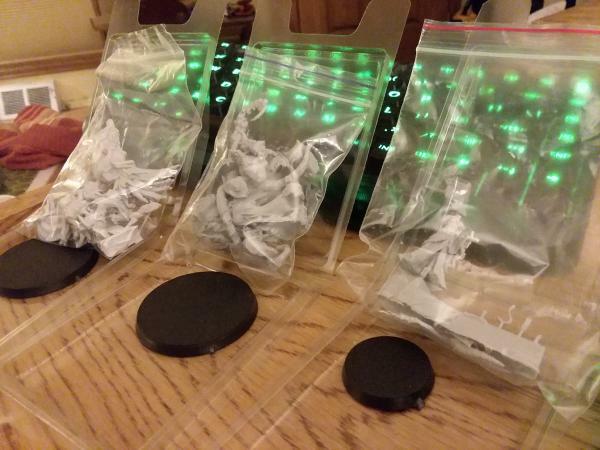 Again the 60mm base will require a special order since this will not be a run of the mill play piece. I want to show this off and have people other than me go “Ooh” and “Ahh”. Getting into the Christmas spirit I’m putting together the Bad Santa from Enigma minis. 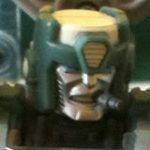 Sadly it looks like, despite having the license (according to Wiki of Lost Minis), Coolminiornot.com looks like they aren’t making any more. Nice banner bearer. 40 Gil. How long did he take to finish? He looks great! I like the green base rim, compliments the warmer creams and reds nicely without contrasting too much. Gil, really. I shall find an abacus. You will need a loooot of Gil for one of those! Hi! 5 Gil because I can! (1) Tell us a wargames funny story! An old war story with some mirth, silliness, stupidity or sadness! (2) Tell me your experience with campagins/narrative play. I have some with Mordheim. (3) Name a game setting you like and why? Birthday is Monday but Sunday is party time: Pizza and Mordheim. Woo!!! You are welcome for the hosting. No pledge is fine, but feel free to pop in when you can. Poor credit card. As for getting soaked, well, have some chicken soup or something. No, have a curry. Maybe introduce her to Amazon and Argos online? She can have tea, coffee, wine, whiskey, cider or the like at home in warmth or comfort! Mmmm leg of lamp. Or a Doner kebab. You making Yorkshires, sucka? I pity the fool who don’t roast! Sorry, its twenty to three here and I just had a coffee. Kvovoffvey? Hush good sir, do not spake of the beyond!